In an age of information overload, many simply don't have the time, knowledge or organizational skills to create a simple, functional system for managing personal finances. 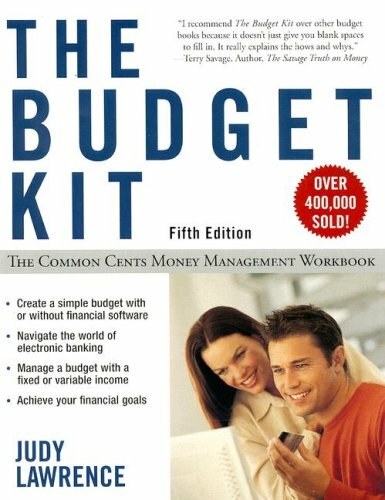 Now in its fifth edition, "The Budget Kit: The Common Cents Money Management Workbook "is a best-seller that has helped hundreds of thousands of people across America develop effective budgets and gain financial freedom. Even if you are using a financial software program, you will find the concepts in The Budget Kit to be essential to your understanding of budgeting. In the completely revised and updated fourth edition, Lawrence tackles the challenges faced in the digital society. The increased use of debit cards, automatic withdrawals, direct paycheck deposits and online bill payment systems have distanced us from our money like never before. Judy guides you through the electronic shift to a cashless society, and keeps you connected to your money.